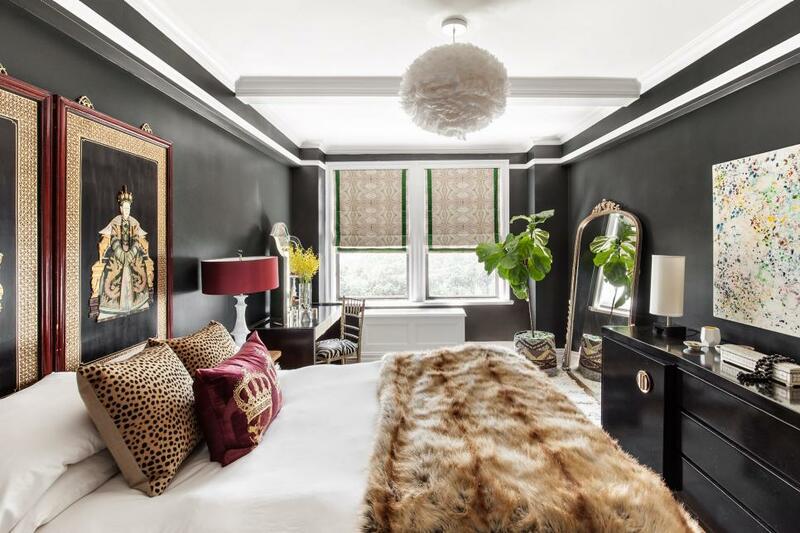 The homeowner wanted a bold bedroom space, so designers chose to paint the walls jet black so that everything in front of them would pop with brilliance. 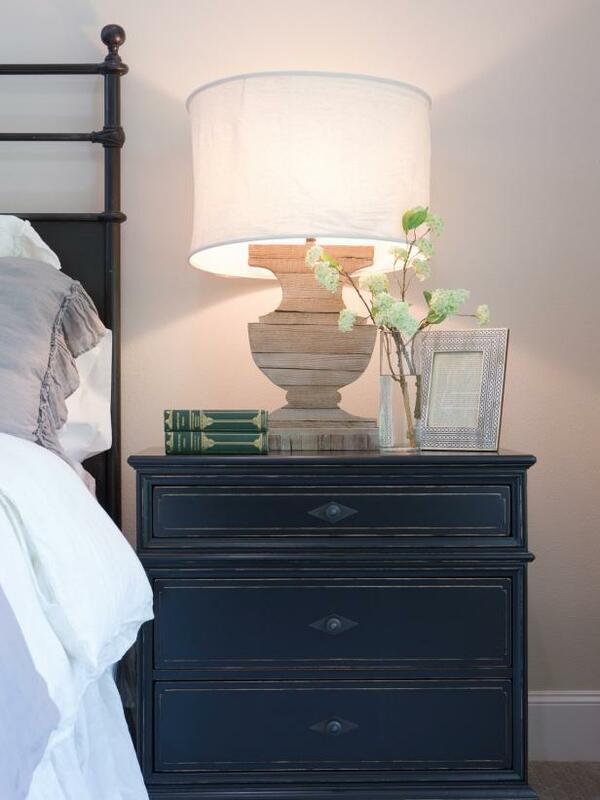 This master bedroom renovation included a black nightstand on either side of the bed with wood table lamps and green books for a colorful accent. 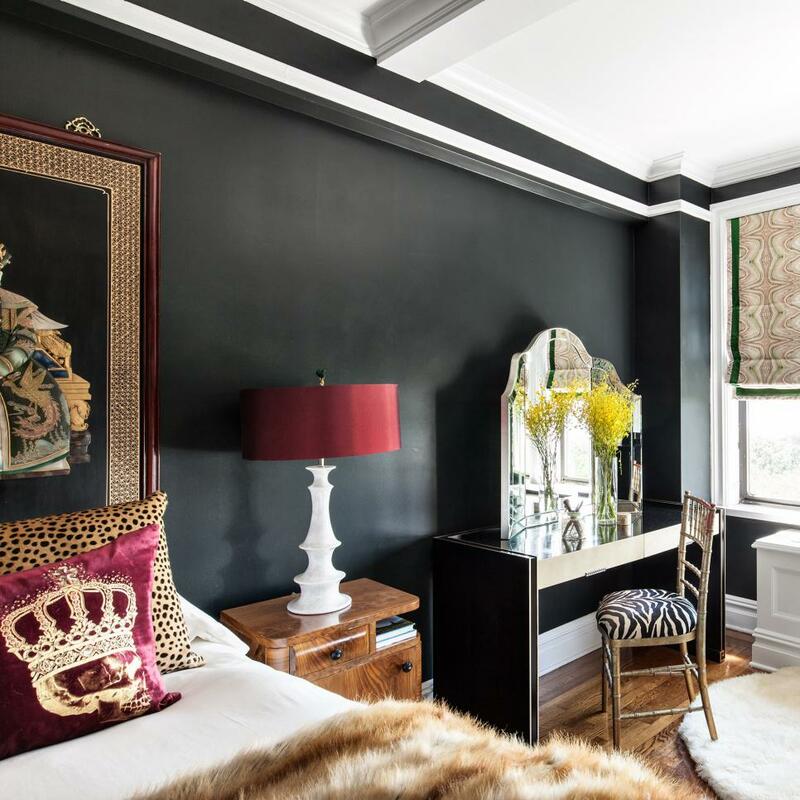 Next to the bed, solid alabaster table lamps topped with bold, red lamp shades pop against the jet black walls. 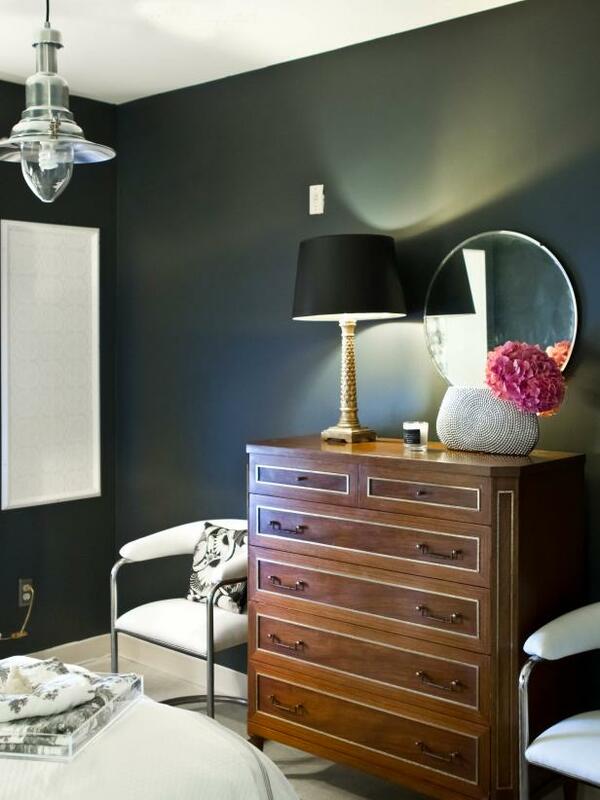 A pair of white modern chairs flanks a wooden dresser with a black and gold lamp in this chic black bedroom. A pendant light hangs overhead to provide additional lighting to the space. In another corner of the room, black wire baskets create stylish storage bins for this little girl's stuffed, furry friends. 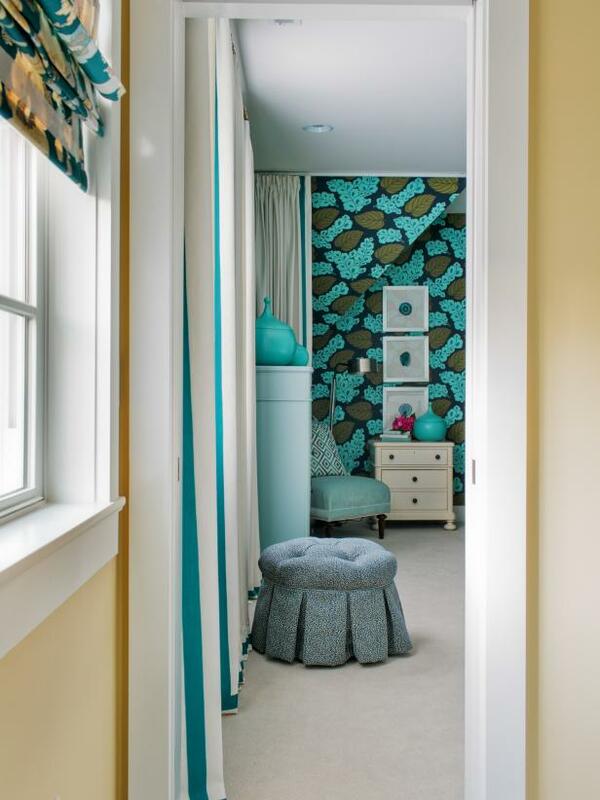 Combining the best of country living with the casualness of contemporary, the designer used analogous colors to combine the look. 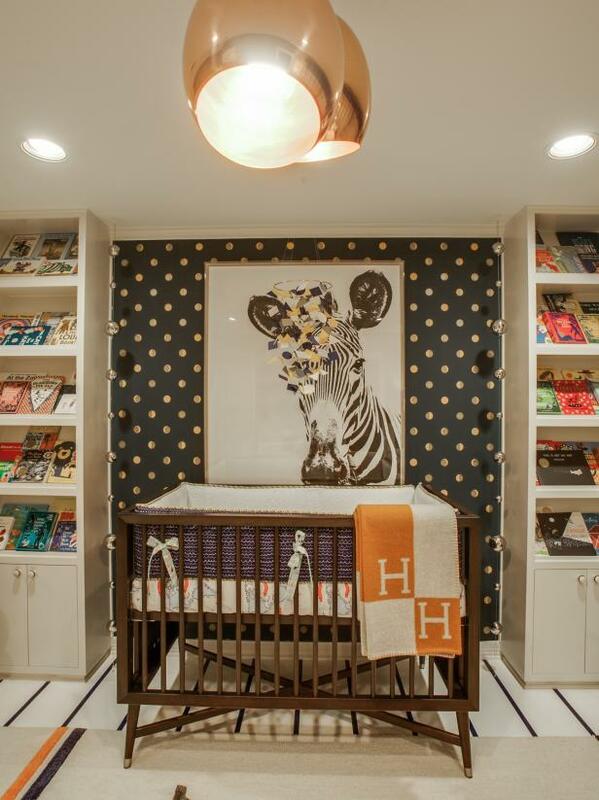 Graphic-patterned draperies pop against the dark grass cloth wallpaper while they merge with the cream-colored adjacent wall. 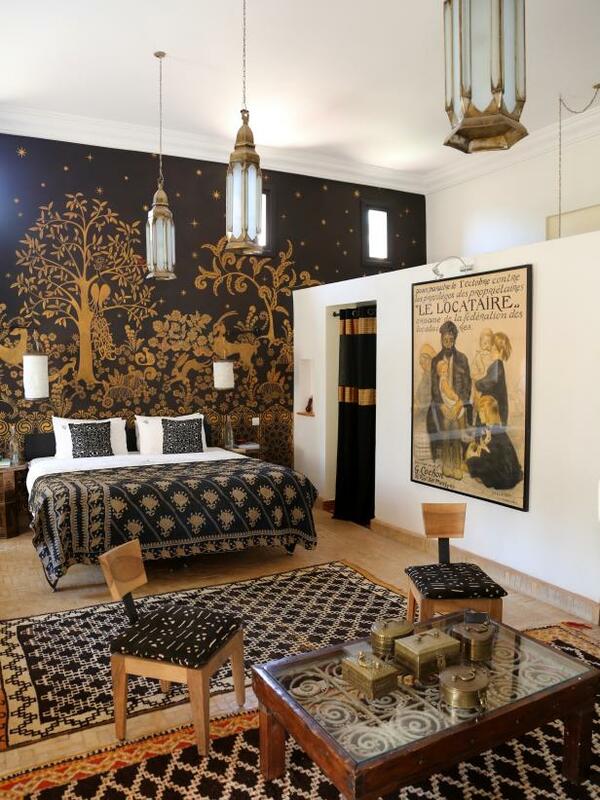 The room suggests comfort, simplicity and an invitation to rest. 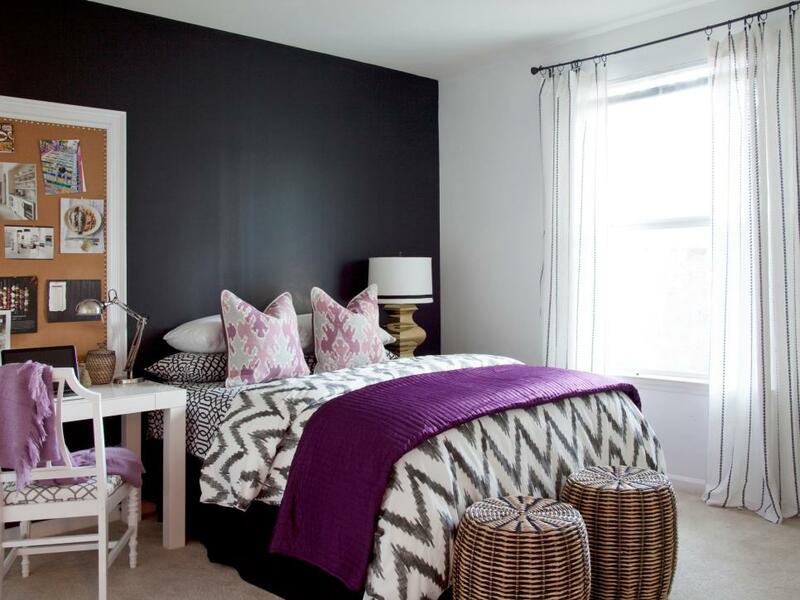 This bedroom makes a bold statement from top to bottom. 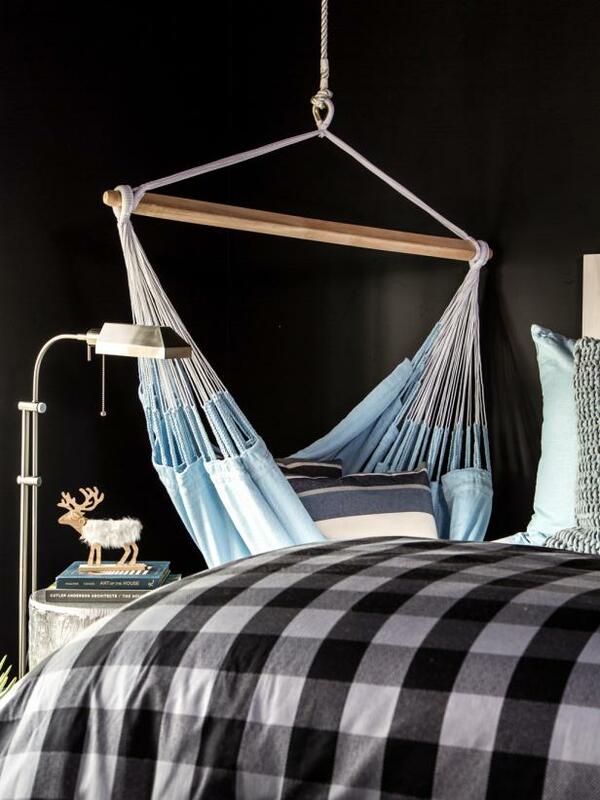 The black ceiling is downright daring, and we like it. 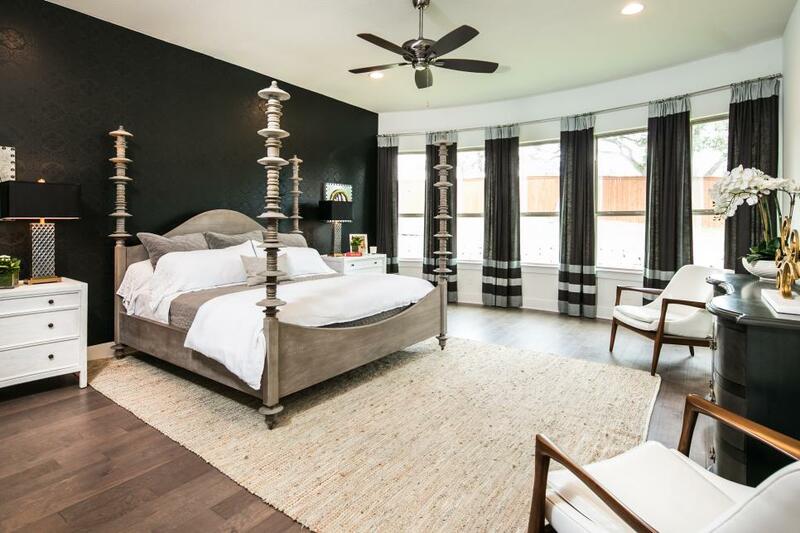 The mood is lightened by a white ceiling medallion and a swanky, tufted headboard. 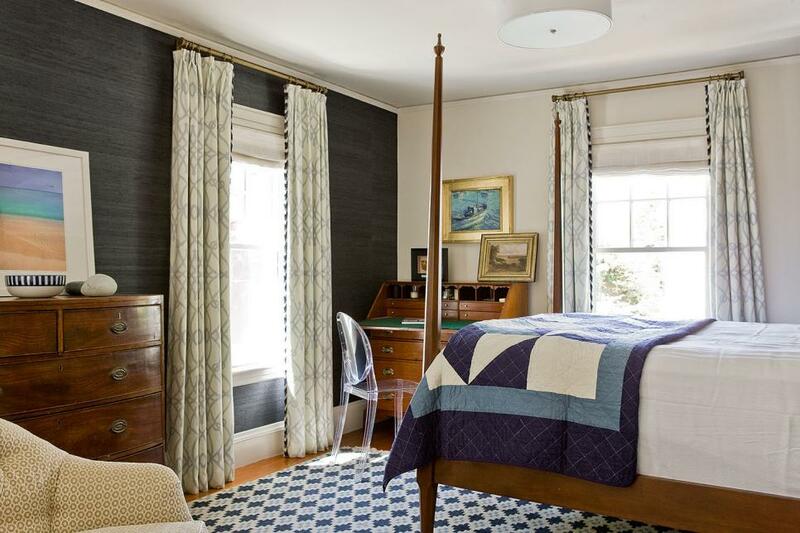 This bedroom goes outside the norm, but is still fresh and welcoming. 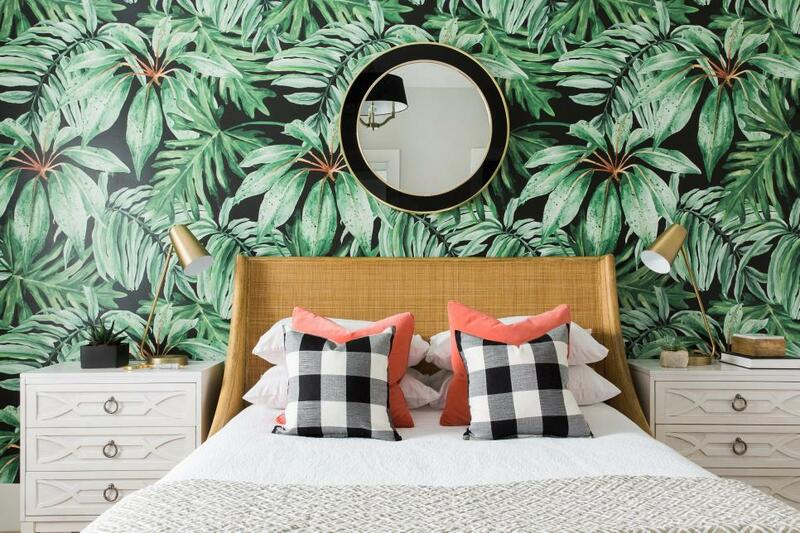 The tropical print wallpaper create an eye-catching accent wall for this fun space.